This is somehow a late post as most tech blogs out there already gave you information about this phone, but since I want to share my opinion regarding this unique piece of technology, i'll be focusing more on comments and suggestions. 2.4" seems a little small for a touch screen phone. I know the keypad is already there but larger screen size means larger icons which equates to more finger friendly navigation (by the way, i dotn have big fingers but 2.4" from my 5610xpressmusic feels small if you pretend its a touch screen). Just imagine how much screen state is wasted just because of the thick bezel below and on the side. Utilizing those space could bring up the diagonal length to 2.6" or even 2.7". 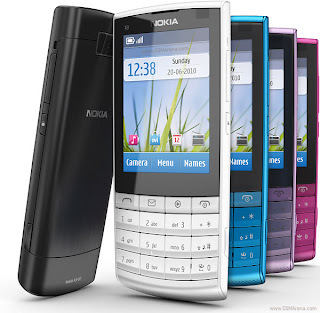 I don't what happened to the UI and user experience of the new symbian S40 version that's why I'm wondering why OK and return button is missing. If they plan on including it on the touchscreen interface then they should have position the keypads and the display closer together. Additionally, the placing of 0, *, and # buttons is weird. 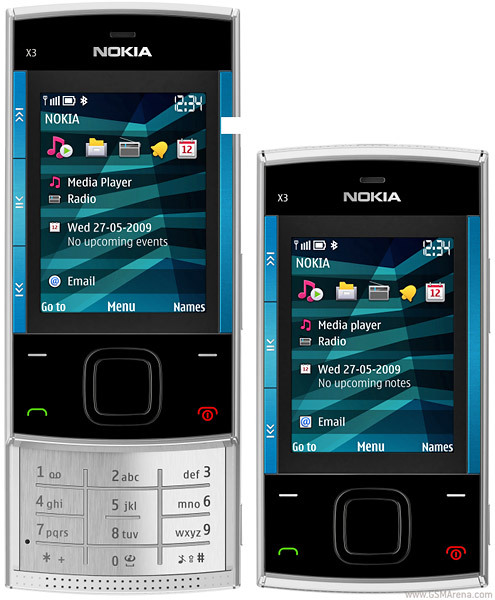 This is the first time I saw a nokia phone use this layout. I only see this kind of layout on china phones that's why at first, I'm thinking that this is just a fake phone. I don't think the placement doesn't have that much effect on the users, its just a matter of getting used to. It doesn't look like its predecessor , if the original X3 is its' . But I like X3-02 more because of the brushed aluminum look, making it look more expensive and durable. Plus, according also to Mashable, the backplate feels great at hand. 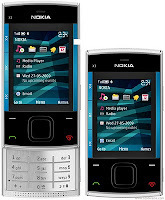 Wtih 3g, Wifi and bluetooth, X3-02 hosts a complete set of connectivity option, sadly the handset runs only on an S40 OS, meaning you can't fully used the connectivity features that much because there are only limited application that can be install on S40 os. You'll be settling with popular apps such as youtube, facebook, etc etc. X3-2 is a rare phone. It sits between a secondary phone and a primary phone so it will be more difficult to decide which phone for you this will be, but if you are only planning to have 1 non-smartphone this product is a no brainer. With improved and louder speaker plus 3.5mm audio jack, music listening will never be this exciting from being boring. Targetted at around 125 euros / $161 / P7,500 , almost the same price as the original X3 when released.